Step back in time to the days of ancient Egypt on a private tour to the Great Pyramids of Giza and Sphinx. The Giza Plateau is only around 30 minutes from Cairo, where your qualified Egyptologist guide will provide a fascinating introduction to each of the three pyramids: Cheops, Khafre and Menakaure. You will have free time to enter one of the pyramids (additional cost), though your guide is not permitted to enter with you, or take a camel ride (additional cost). After visiting the pyramids, you'll continue across the plateau for a photo opportunity of the three pyramids rising from the sands, with the Cairo skyline in the background. A short drive to the city side of the plateau finds you standing at the feet of the Sphinx, for thousands of years the enigmatic symbol of Egypt. Also in Giza you may visit the Solar Boat Museum (optional), home to the remarkably well preserved funerary boat of Khufu. 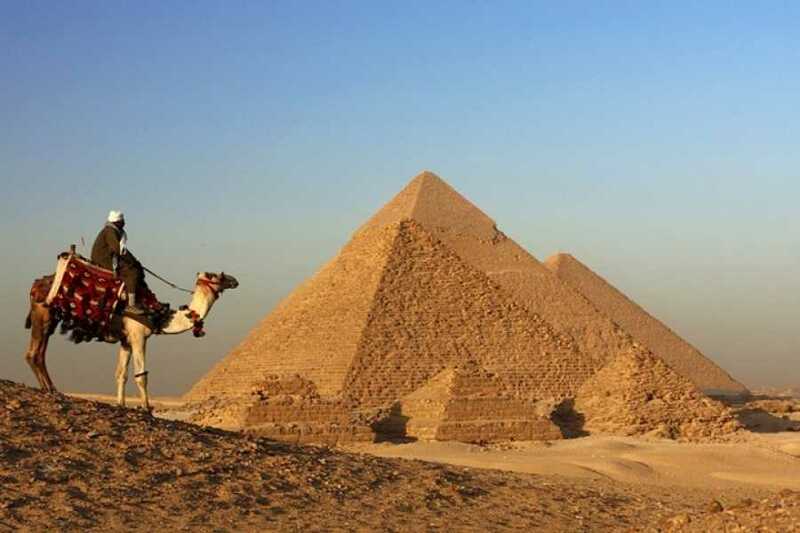 Pick up from your hotel in Cairo or Giza to start your Pyramids tour. 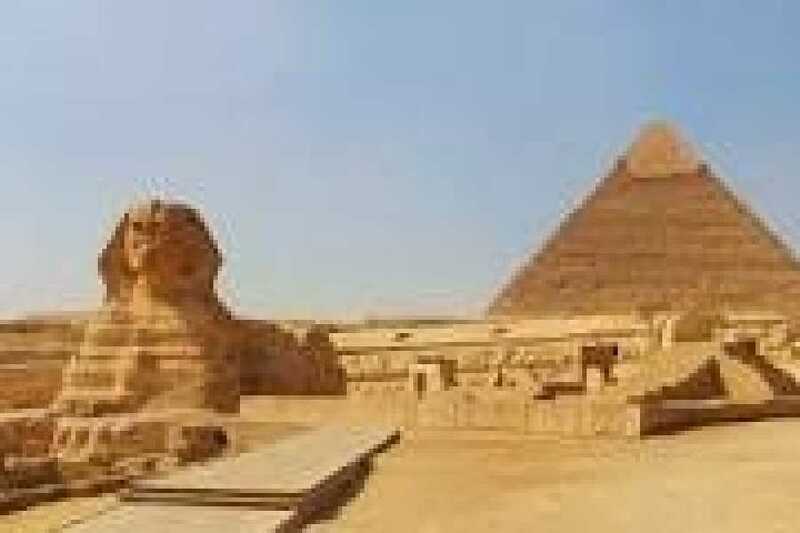 This Pyramid day tour is a must do activity for those traveling to Cairo as it allows the traveler to see one the remaining wonders of ancient world the three Pyramids of Cheops, Khafre and Menakaure and have a look at the Sphinx. An expert Egyptologist tour guide will accampony you during your tour and give you an insight of the buuilding history of those Pyramids and giving you your free time to wonder in the area. There will be opportunity to take memorable photo from the Pyramids plateau where you can have the three Pyramids at your background. Moving down the valley you will get a close look at the Statue of the Sphinx caarved into a big rock at the foot of the Pyramdis. If time permits at the end of your trip you can visit a Papyrus institute to see a demonsestration of how Papyrus paper was made in ancient Egypt. At the end of your tour return back to your hotel.